Milwaukee’s fiercely independent and listener-supported radio station needed a website that was true to its renegade mission and nearly 40-year history of musical insurgence. A site as interesting as the station’s eclectic mix of tracks and deejays. A site designed to look both forward and backward, with upcoming event info and a robust show and playlist archive. A site that, like the station itself, would engage anyone daring enough to tune in. While the site’s design is intentionally loud and frenetic, its infrastructure, navigation and content were completely overhauled to create a richer, yet simpler user experience. WMSE_Website_Tour from Traction Factory on Vimeo. 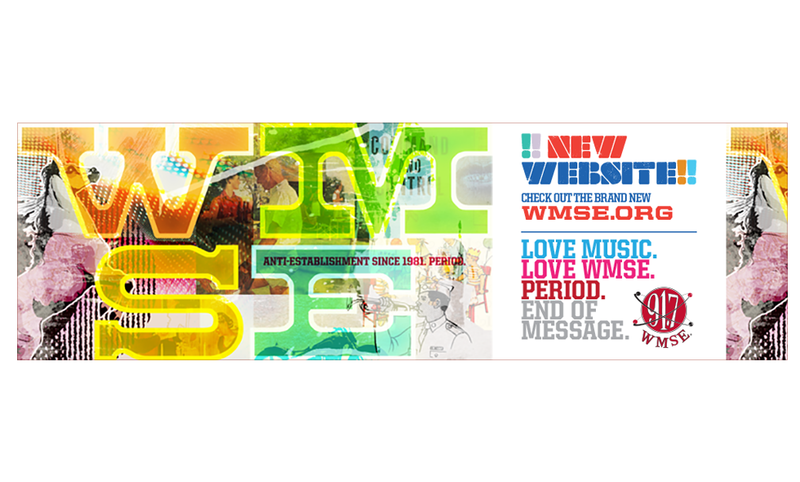 Our website design was inspired not only by the punk rock ethos of the station’s origins and its pirate radio spirit, but its longstanding connection to the local arts community, as well. Original art from our own Executive Creative Director was sprinkled throughout the daily line-up page. WMSE_ART_Movie from Traction Factory on Vimeo. 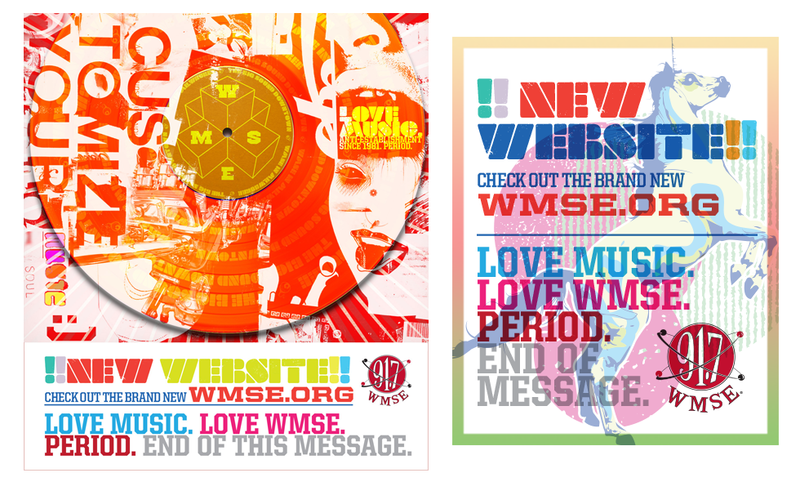 In order to drive Milwaukee's sound citizens to the brand new WMSE.org, we developed a series of digital and print ads using the renegade aesthetic.